This is a 4 part Documentary series about Irelands number one comedian Tommy Tiernan’s attempts to crack the American comedy market. It was directed by David Power, Ken Wadrop and John Butler over a period of 2 and a half years. With so much footage i was editing this for a couple of months but it was worth it. 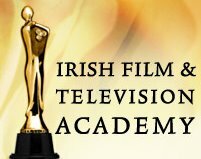 I am very proud of this series .The show was nominated for an IFTA but was criminally robbed of the gong! The show follows Tommy as he celebrates his 100th show in Vicar Street, his first shows in New York clubs – sometimes performing to as little as 10 to 12 people, Edinburgh Comedy Festival, playing to 5000 people in Cork, to shows in Washington, Nebraska, Texas and to long runs in L.A. and New York and finishing with an apperance on The Late Show with David Letterman. Here is a selection of clips from the series to give you a taste of what was involved. The First episode follows Tommy as he embarks on a creating a new show, bringing it on the road, another Late Late Show controversy and his decision to try and make it in America. Along the way Tommy has the highs of his 100th show in Vicar Street to going to play in front of ten people in a small club in New York. In the second Episode Tommy is preparing for his headlining show at the Montreal Comedy Festival by trying out longer stints in California. ALongside this Tommy and his management team have to balance his desire to do well in the states with Tommy’s personal commitments.